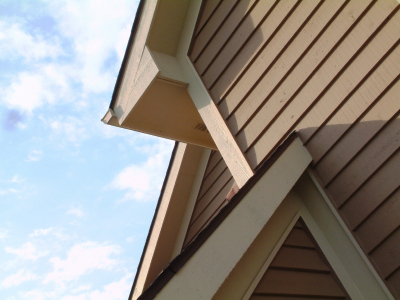 Our soffit and fascia will protect your home and improve its look. If your soffit and fascia are in disrepair, then your home could be left vulnerable to moisture infiltration, not to mention lacking curb appeal. For homeowners in Des Moines and throughout the entire state, Home Solutions of Iowa is here for you to provide superb soffit and fascia services that will protect your home from the elements and keep it looking great. Home Solutions of Iowa can complete entire siding and roofing installations, including soffit and fascia. This ensures that all components will work together seamlessly and look cohesive. However, if you simply need new soffit and fascia installed, we have numerous options available so you can select ones that complement the existing exterior of your home. In addition to installing new soffit and fascia as part of a siding project, we can also repair these exterior components should they become damaged by wind or hail. Our trained technicians are able to examine soffit, fascia, trim, gutters, roofs, and siding to determine if there is damage that the average eye would not be able to see, so even if you just suspect that your home may have damage feel free to give us a call. To learn more about having soffit and fascia installed or repaired on your home in Des Moines or elsewhere in the state, contact Home Solutions of Iowa today. We will be happy to provide you with a free quote.